Perched upon the coastline in Southern California between Newport Beach and Laguna Beach with expansive views of the Pacific Ocean. Pelican Hill is an extraordinary destination on some of the most exquisite land in Southern California-with expansive views of the Pacific Ocean and architecture inspired by the work of renowned Italian Renaissance architect Andrea Palladio. Bungalows Bungalow Suites and two three or four bedroom Villas-each with a private ocean-view terrace gas-lit fireplace wood-beam ceilings stocked granite wet bar in-room safe high-speed Internet access flat-screen TV DVD player and Bose audio and MP3 port. Villa accommodations feature private butler and concierge services gourmet kitchens with Sub-Zero refrigerators granite counter tops luxurious bathrooms with a marble walk-in shower deep soaking tub parking garage and a 10000 square foot club house with a private swimming pool. Andrea: Italian Cuisine with a Tuscan influence using seasonal ingredients Pasta Room Laboratorio del Gelato. Coliseum Bar And Grill: Traditional American cuisine burgers paninis pizza wraps and smoothies as well as seafood dishes meat dishes and salads Family friendly casual. 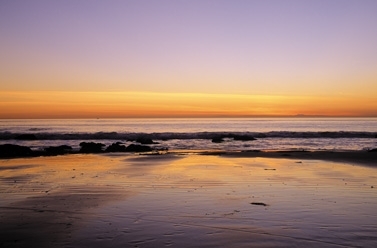 Located on one of the most serene coastal settings in southern California. Pelican Hill is perched upon the coastline between Newport Beach and Laguna Beach with expansive views of the Pacific ocean in Southern California. Conveniently located 15 minutes from John Wayne Airport and a 45 minute drive from Los Angeles International Airport. Dana Point HarborFeaturing one of Californias largest marinas dozens of shops and restaurants and spectacular views of the Pacific-12 Miles South. Laguna BeachImmediately south of Pelican Hill on Pacific Coast Highway is Laguna Beach home to dozens of art galleries the Laguna Art Museum and Laguna Main Beach one of the most popular and crowded beaches in Southern California.